Toyota’s selection means we have the car, truck, van or SUV you want. Vehicles no more than six years old, and with 85,000 miles or less. Plus a rigorous inspection. Good service people to work with, took care of a safety recall with only an oil change appointment. Worked with George in sales and Dougie in finance. Awesome experience! George is totally no pressure and all about the customer service. Dougie made sure we had a quick and painless buying process. Worked with me to make sure everything was exactly what I needed! Would definitely recommend!! Great place with great people, Very happy with the purchase of my new truck. Our technicians are trained to take care of any make & model, especially Toyota! 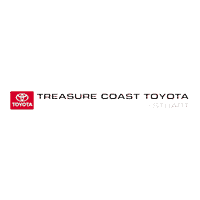 Treasure Coast Toyota of Stuart in Stuart, FL treats the needs of each individual customer with paramount concern. We know that you have high expectations, and as a car dealer we enjoy the challenge of meeting and exceeding those standards each and every time. Allow us to demonstrate our commitment to excellence! Our experienced sales staff is eager to share its knowledge and enthusiasm with you. We encourage you to browse our online inventory, schedule a test drive and investigate financing options. You can also request more information about a vehicle using our online form or by calling (866) 426-5486.